Catholic education is a partnership of school, parent, ratepayer and parish to develop in our students a love of God, people and self, an appreciation of prayer, and a moral foundation to assist them as they journey through life. As Roman Catholics or members of the Eastern Rite in union with the Holy See of Rome, you have the opportunity to participate in determining the future of Catholic education in Ontario. Should authority to tax be returned to local school boards in future, a complete assessment base would be critical. Catholic school parents/electors/supporters are being encouraged to continue to ensure that they are registered appropriately for the purposes of municipal elections and school board tax support. 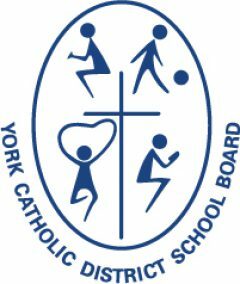 Separate school support is a requirement for admission to the York Catholic District School Board Elementary schools. At the secondary school level, if eligible, the parent/guardian shall designate separate school support and/or provide proof of separate school support. To determine if you are currently an English-separate school supporter/elector, check your property tax bill or contact the Municipal Property Assessment Corporation Call Centre at 1-866-296-6722 or our Admissions Office. Each time you move, you must declare yourself an English-separate school supporter/elector. As of January 1998, the tax rate on the educational portion of your tax bill is levied by the province and is the same for both the Catholic and the public school boards. Should you have any difficulty downloading these forms, you may obtain them at any one of our schools or at the Admissions Office.